Do you want to be a business leader? Have you considered BLDP? The Business Leader Development Program (BLDP) is an opportunity for qualified undergraduate students of all majors to receive enhanced leadership training, networking, and mentoring by RSBC faculty and industry business leaders. The BLDP seminar is a three-credit course and can count as a general business elective for most majors/concentrations. Please meet with your advisor to confirm. The Seminar is on Friday mornings each semester. Networking Opportunities: Exposure to area executives, community leaders, and BLDP alumni. Community Activities: The Rutgers Business Outlook, Executive Lunches, Non-profit service projects, a networking event at the Victor Pub with BLDP Alumni. Field Trips: Visit companies and nonprofit organizations to learn about strategic plans and day-to-day operations. Communications Skills: Sharpen your communication skills by speaking at events on behalf of the Rutgers School of Business-Camden. Every seminar includes emphasis on communication and interpersonal skills. Executive Shadowing Program: Student will accompany an Executive in their field of study for a day. Honors Certification: BLDP students can pursue a BLDP certification by earning verified Leadership Units, such as cultivating a legacy document of your contributions to our School, our Campus, and our University to help future students continue your legacy. Have a sophomore standing (25-55 completed credits) or above and an overall GPA of 3.0 or above. 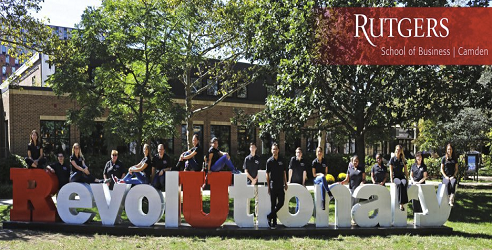 First-semester transfer students are evaluated on their GPA earned at Rutgers. Second-semester freshmen are considered on an individual case basis. A personal essay on what you hope to gain from the BLDP and what you can contribute. Two letters of recommendation (one academic; one other). Complete the application for the upcoming semester. Page last updated by School of Business at 10:22 am April 10, 2019 . This page was printed from http://business.camden.rutgers.edu/bldp/ at 1:01 PM Thursday, April 25, 2019.